Transform your bedroom into a decor haven with this stunning textured grain timber-look bedside table, the perfect statement piece to jazz up your bedroom. 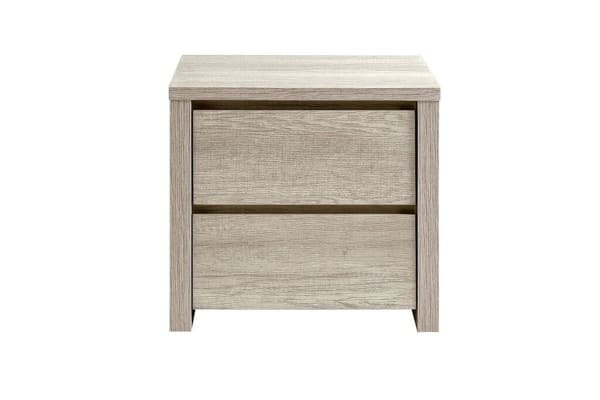 Brighten up your bedroom with the timber-look and grain finish of the Shangri-La 2 Drawer Bedside Table – Alta Collection, adding a touch of timeless elegance to your bedroom without breaking the bank or compromising on quality. Featuring two spacious drawers built with easy access metal sliders and a finger pull design, store your hand creams, books, sleep masks and bedtime essentials with ease. 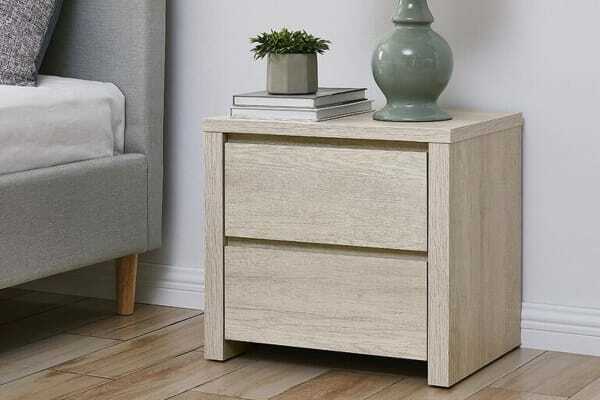 As stylish as it is functional, enhance the timber-look and feel with a statement lamp, plant or scented candle.